Ireland has a rich agricultural history which dates back for thousands of years. With fertile soils and farming skills which have been handed down over more than 200 generations, Ireland is well known for the quality of its agricultural product. Agriculture and food has always had a rich legacy in Ireland and is seen by many as a way of life as well as a business. In spite of this, however, careful steps need to be taken in order to nurture farm businesses and pass them on for future generations to come. Farmers traditionally tend to keep their business to themselves and would often be reluctant to talk about their plans for the future. Whilst this may be a natural instinct there are times when difficult subjects such as ‘how will the farm be distributed after your death or retirement’ need to be broached. Some farmers are noted for their detailed business planning and some are not, but invariably they do know how to tend the land, look after their herd and maximise their crop yield. They work tirelessly, often from the sun comes up to the sun goes down and unfortunately this doesn’t leave much time for getting paperwork in order. Anything of this nature is often approached reluctantly and seen to be keeping them away from what they love and know best. At Poe Kiely Hogan Lanigan we have a long tradition of serving the needs of farmers and the wider agricultural and food industry in the South East. We see it as our role to keep things simple and to remove as much of the legal jargon as possible. In this regard we have prepared this short guide to help you and your family approach this often sensitive subject. It goes without saying that a farm is a business at the end of the day. Something is being produced and sold at a price to deliver a return which can in turn support the family and needs of the farm business going forward. In order to sustain the future of your farm and the livelihoods of your family for generations to come you need to develop your plans early so that adequate time and experience can be passed over to those responsible for the ongoing upkeep of the farm. When you work on a farm day in and day out over many, many years, it is easy to know where things are and how things work. The difficulty for others coming along behind you though is that this is not often written down. As part of your planning process, it is important to define what your farming business actually is. Document its size, where exactly the boundaries are, what are the key characteristics of the different pieces of land making up the overall farm, who are your key suppliers and what contracts and agreements are in place. Whilst this may seem like a chore, it will be a great help to those taking on the farm and make the transition a much smoother process. Whilst it is natural to want to avoid conversations concerning your passing, it is really important to find time to discuss the transfer of ownership with your family. Who you wish to take on the farm you have fought to grow and protect is an important decision and one not to be taken lightly. Talk to them and don’t let it be a surprise that they will the one to inherit the farm. In the same vein don’t let it be a surprise to you at a late stage if taking on the farm is just not for them. Whilst we have talked about the Agriculture and Food industry being steeped in tradition, there is a lot of younger blood coming through, bursting with ideas and ways to incorporate new technologies to maximise farming output and improve productivity. It could be the best thing you ever do to begin to involve your younger family members - the enthusiasm of youth driving the farm forward whilst there is still a firm hand of experience at the helm. Involve them more and more in the decision making and when the time is right you can ease back safe in the knowledge that they understand what makes your farming business tick. It was often the tradition in farming communities that the first born son would inherit the family farm with land being set aside for the immediate family to build a home. Whilst this may still be the case in some families, as previously mentioned not all siblings wish to stay in farming these days and in some cases farmers have had to look to nephews and nieces to see if they would consider taking on the responsibility. Before taking any decisions however assess their key skills and competencies to determine whether or not they are the right person for the job and likely to be successful in the new role. It goes without saying that owing to the legal complexities of land ownership, running a farm, and dealing with difficult succession issues, you should speak to a Solicitor as early in the process as possible. Perhaps even before you broach the subject with your extended family you should make sure to understand the key legal issues which need to be addressed and the best way to approach these for the overall good of the farm business. Make sure you also seek out a solicitor with sufficient experience of dealing with both succession issues and farming. Organising your Will is essential for the smooth passing of your farm to those who will be responsible for maintaining it when you’re gone. Whilst not many people like to face up to their mortality, a Will is a very important document. Dying without a Will in place will see the laws of intestacy taking over to administer your estate through probate. This has been known to cause serious family friction owing to the very strict Intestacy rules governing who will receive what parts of your estate, and could see your farm passing to someone other than the person(s) you would like to receive it, or even passing out of the family altogether. As well as having your Will prepared you will also need to review it regularly and especially after key life events such as marriage or the birth of your children. You may also wish to appoint an Enduring Power of Attorney to look after your affairs should you become unwell or unfit to manage the farm yourself. Depending on how your farm business is structured (e.g. as a sole trader, a company, a farm partnership, etc.) there will be a number of different accounting and tax considerations to assess when legal ownership is being transferred. Whether or not you are planning to retire from the day to day operations of the farm and take more of a back seat, or you wish to structure your Will so that transfer of ownership will take place on your death, you will need to consider taxes such as Capital Acquisition Tax, Capital Gains Tax, Stamp Duty and your own Personal Tax position. Make sure you take the time to consider your tax position and speak to your accountant and/ or tax advisor to ensure things are conducted in the most appropriate and tax efficient manner. The financial benefits or downsides of getting this right or wrong can be significant. It goes without saying that a farm embodies a lifetime of commitment and work. Whilst the temptation is often to just carry on regardless until you drop, pragmatic farm owners who realise the importance to plan for succession will have the best possible chance of success. Don’t “bury your head in the sand” and leave it too late to do anything about it, as this has a high probability of creating heartache and difficulty for those left behind picking up the pieces. It is also worthwhile noting that accidents and illness can shorten a working life so it pays to plan for the future and think about as many eventualities as possible to be in with a chance of your wishes being carried out and a smooth transition taking place. 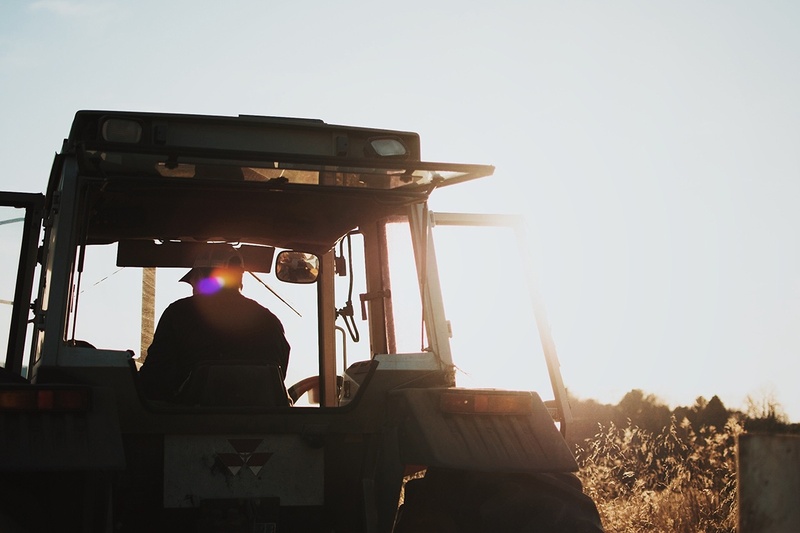 If you are thinking about your own retirement or perhaps you are a younger family member due to inherit a farm business, take the time now to think about the transfer of ownership and getting your succession plans in place. Get those awkward conversations with your family out of the way because at the end of the day you will all benefit from getting it right. At Poe Kiely Hogan Lanigan Solicitors we have a wealth of experience, gathered over many years dealing with agricultural clients. If you have any questions whatsoever regarding the transfer of your farm business or assets, please do not hesitate to get in touch to discuss your next steps. This article is attributed to John Hickey. John is a partner in Poe Kiely Hogan Lanigan and is well regarded in the South East of Ireland for his agricultural experience and understanding of the complex legal issues in this area. 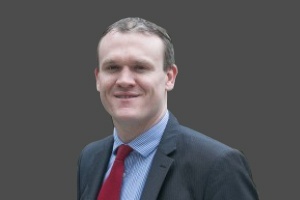 John Hickey joined Poe Kiely Hogan Lanigan in October 2006 and became Partner in the firm in 2014. John heads up the Private Client Department, specialising in conveyancing, probate and agricultural law. Prior to joining the firm, John worked as a trainee and qualified in a New Ross law firm.